What is Buyer Enablement and Why Should You Care? Buyer enablement is helping make your future and current customers life easier, from the beginning of the buying journey to remaining happy customers. For example, instead of sending people to a page that says “thanks, we’ll contact you later” and sending that lead to sales to reach out, buyer enablement puts leads in the driver’s seat to take the next immediate action to start a conversation. By putting more emphasis on the buyer’s journey, companies are being rewarded with more customers, higher conversion rates and shorter sales cycles. Why are Companies Quickly Adopting Buyer Enablement? It used to be common practice for companies to make the buying process long and complicated, with inefficient processes that favor the sales person over the customer. But times have changed. Businesses in all industries have more options to choose from than ever, and have access to a variety of online review sites and social channels. If vendors aren’t quick to respond or provide top-notch service, buyers will happily take their business elsewhere. You fill out a form on a company’s website and get sent to a thank you page that says you’ll be contacted “shortly”. If you’re lucky, someone responds within a couple of hours. Unfortunately, it usually ends up being a couple of days or not at all. By the time a sales reps gets around to contacting a lead assigned to them, they’re stuck playing a game of back-and-forth emails and voicemails just to get someone re-engaged enough to take that next step: the call or meeting. And by that time, this person has possibly already started the conversion with a competitor. Instead of putting people through this poor and slow experience, buyer enablement gives future customers the option to immediately trigger a phone call to a rep or schedule a meeting for later after they fill out a form on your site. You did it – you have a champion excited about your product and eager to purchase. Now the champion needs to meet with the other internal stakeholders and convince them to buy your product. While ideally the sales person can get everyone in a room together and do the selling over a video conference, most often your champion will tell you to leave it to them. And that’s fair – salespeople have a reputation for calling/emailing everyone who’s a contact on an opportunity. But your champion knows better and doesn’t want that to happen. The buyer enablement approach in this scenario is to give your champion everything they need to successfully get the other people at their company on board. Will the VP of Sales and IT need to write off on this? How about Operations? You should know all the people typically involved in making the buying decision for your product and make sure you have the information that your champion will need for each one of these people. 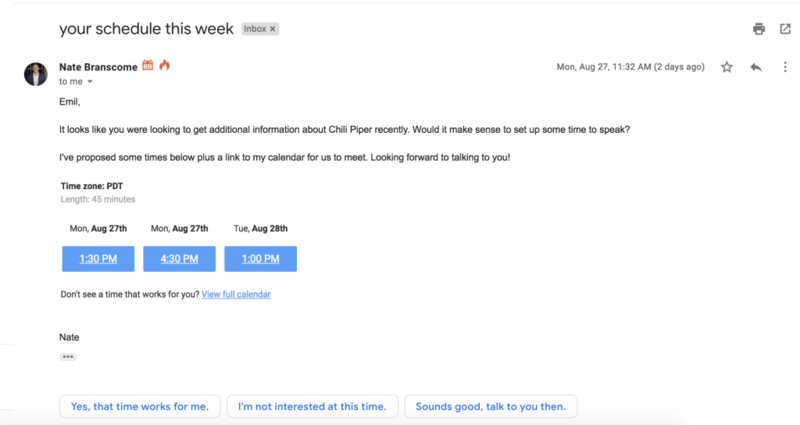 Speaking of back-and-forth emails, there’s no reason you should ever have to do this to book meetings anymore. But a word of caution: stop sending people a link to your calendar. It’s inconsiderate and puts the work on the other person, which is completely counterintuitive to buyer enablement. In fact, we tested sending emails with a link versus suggested times with a 1-click booking link and the results speak for themselves: sending suggested times was 13x more effective in booking the meeting! It’s no longer hype – making life easier for your prospects is vital. Some people want to talk on the phone now while others prefer to setup a time to talk later. Some people want to ask a question over chat while others prefer to email. With customers in control, you have to offer people communication options. There’s no one size fits all communication method anymore. 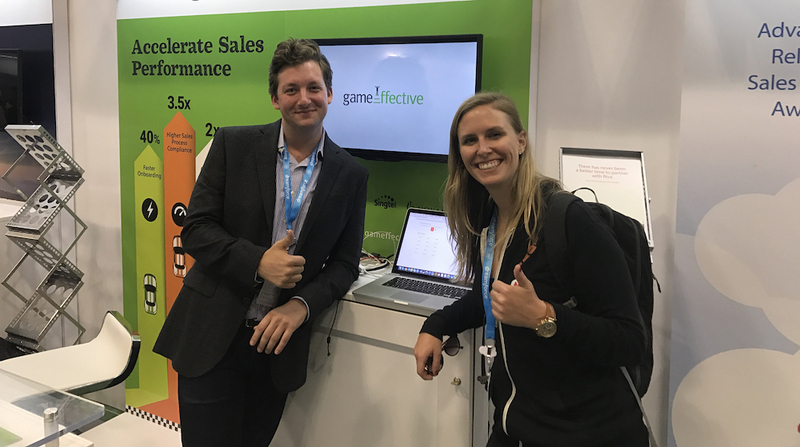 Are you incentivizing revenue or customer success? The best organizations incentivize sales reps with kickers for customers who stick around long-term and clawbacks on customers who quickly churn. They focus on continued training to help reps create an exciting experience for the prospect. They give their reps the right tools to make them more productive AND the prospect’s journey through the buying process seamless. As we like to say – your team should be focused on having valuable conversations, not being process monkeys. Buyer enablement is bridging the gap between how marketing and sales treat their customers. Learn how Chili Piper is helping companies adapt to this new way of doing business here.